Our audios are extremely popular, featuring inspiring music and recordings of presentations by revered Buddhist teachers as well as leaders of other wisdom traditions. It is said that realizing the true nature of mind depends on hearing, reflecting and meditating on essential teachings, presented by authentic guides. We carry Nalandabodhi Audio teachings in both CD and MP3 formats. We also offer recordings by Vajra Echoes. Welcome to a Rendezvous with Your Innermost Self. Enjoying Your Own Deepest Experience. A struggle-free way to start a meditation practice you'll look forward to continuing. Tudeng Nima (Alak Zenkar Rinpoche) was recognized as the reincarnation of Zenkar Rinpoche of Amdo in 1946. He was born in the 1943 in the Sichuan Province of the Peoples Republic of China. Presently, he is a Senior Research Scholar at Columbia University in the East Asian Institute and is the Director and Founder of the Project for Searching and Making Available Rare Texts in Chengdu China. He is also the main editor and Co-Founder of the Project for the Compedium Dictionary of Tibetan Buddhist Terminology of Eight Different Schools, jointly with the Nitartha Organization of Vancouver, BC , Canada. From an Ancient Source, Prayerful Celtic Melodies by Irish harpist Aine Minogue. A collection of original songs based on ancient Celtic prayers, specifically composed for meditation and relaxation. 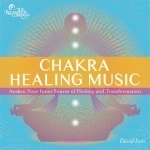 Connect with Higher Consciousness through Rhythmic Breathing Meditations. According to early yogic teachings, your breath is a direct means of unifying and purifying your con- sciousness.